Instructions: Click here to view a larger photo of this project. 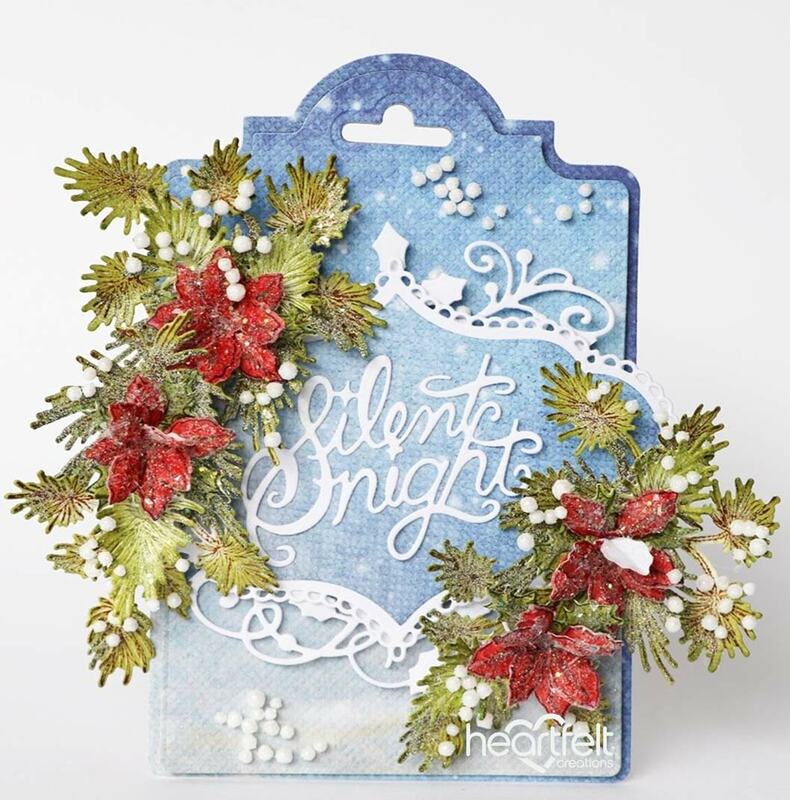 Cut O Holy Night Paper Collection and white cardstock using tag die from Album Tags and Accents Die using both sizes. Large adhere to white paper and the two others on both sides of tag. Cut one tag using smaller. Place on tag using 3d foam tape. Cut swirl Noel Ornament Die from white glitter paper and place under sentiment layer. 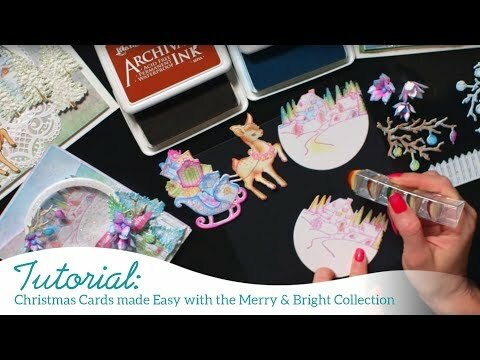 Cut out sentiment using Silent Night Scroll Die white glitter paper and collection paper as shown and place using 3d tape. 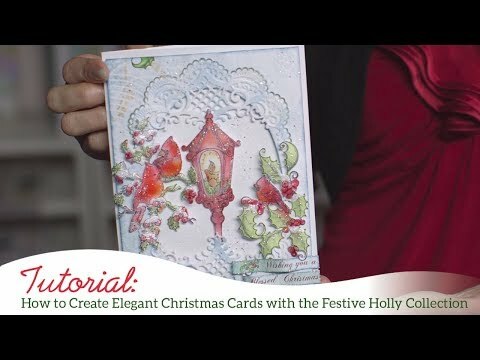 To create the pine needles, stamp Snowy Pine Village Cling Stamp and Silent Night Scroll Die (to place under each flower) with Ranger Archival Ink Pad - Coffee, and color using StazOn Ink Pad - Olive Green and cut using the coordinating dies. Using paint brush, paint with Designer Dries Clear Adhesive and sprinkle with glitter. Arrange flowers and leaves as shown. Add snow.